Maggie is 17 years old. She was recently diagnosed with an illness. Although her doctor told her that the general prognosis is good, he said that in the future, her illness may affect her ability to make decisions for herself. Maggie has been dating Sean, who is also 17, for two years and they recently started talking about getting married. Maggie has been collecting autographed baseball cards since she was a kid and she has amassed a collection valued at over $5000. She knows that her brother is jealous of her card collection, and she wants to make sure that her collection will go to Sean if she were to die. Maggie decides to make a will that indicates she is going to marry Sean and that Sean is to receive the card collection upon her death. With their parents’ permission, Maggie and Sean get married. Although her parents gave their permission for Maggie and Sean to get married, as required for 16 and 17 year olds in Ontario, Maggie does not really get along with her parents. She is concerned that her illness will get worse and she does not want her parents making decisions about her healthcare if she is unable to do so. She is very close with her Aunt Regina, and trusts her very much. She wants to make sure that Regina, and not her parents, can make the decisions about her personal care. 2. If you are contemplating marriage and the will states that it is made in contemplation of marriage to a specific person. If you do not get married to the specific person named in the will, it is not valid. Although these are not typical circumstances for young people, they are not out of the question. In Ontario, under the Marriage Act, you can get married when you are 16 years old if you have parental consent, as was the case with Maggie and Sean. In the above scenario, since Maggie and Sean were thinking about marriage when Maggie wrote her will, and Sean was specifically stated as the person she was going to marry in her will, the will is valid, because Sean and Maggie eventually got married. Maggie wants to make sure that her Aunt has the ability to make decisions about her healthcare in the event that she becomes unable to do so herself. Maggie can make something called a Power of Attorney for Personal Care. A Power of Attorney is a legal document that gives someone else the right to act on your behalf. 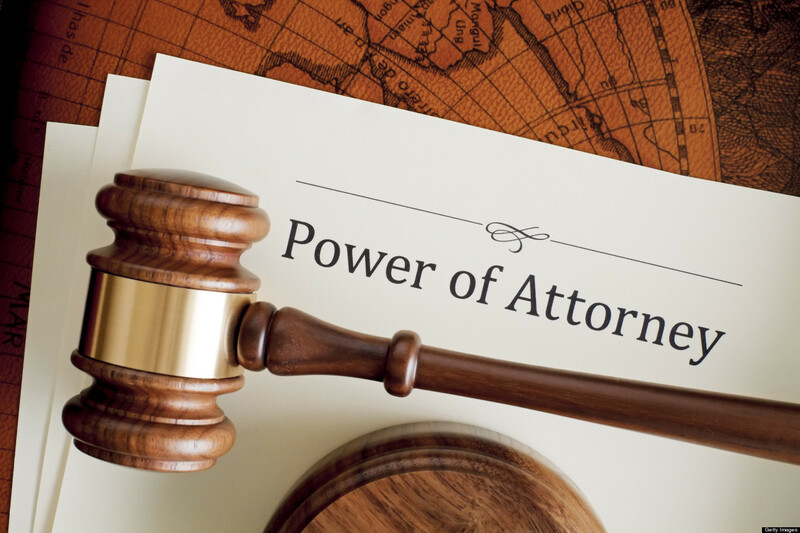 There are three types of Power of Attorney in Ontario: a Power of Attorney for Personal Care (POAPC), a Continuing Power of Attorney for Property, and a non-continuing Power of Attorney for Property. In this blog, we will only be discussing the POAPC. For information on the other two types of Power of Attorney, you can check out the website of the Office of the Public Guardian and Trustee. In Ontario, the Substitute Decisions Act outlines the law around a Power of Attorney for Personal Care (POAPC). In order to make a POAPC, you must be at least 16 years old and mentally capable, meaning you understand whether the proposed attorney has a genuine concern for your well-being and that this person may need to make decisions on your behalf. An attorney in this context does not mean a lawyer. The attorney is the person or persons you choose to act on your behalf and he or she does not have to be a lawyer. The person you choose to be your POAPC must also be at least 16 years old and mentally capable. If you become unable to care for yourself, A POAPC will be able to make almost any decision that is of a personal nature, including decisions about medical treatment, hygiene, housing, food, clothing, and safety. Your POAPC can be anyone, including a relative or close friend. You should be careful in choosing someone you trust, as this person may end up making very serious decisions that will affect your life. If at any time you change your mind about your POAPC, you can revoke it, and this must be done in writing. You are able to revoke your POAPC as long as you have the required mental capacity. The mental capacity required to revoke a POAPC is the same as the mental capacity required to make one. If you do not make a POAPC and become incapable of making personal decisions for yourself, a family member would usually have the right to make these decisions. If there is no family member or representative who is capable or willing to act, the Office of the Public Guardian and Trustee, which is a government office, will be required to make decisions on your behalf. For more information, check out the Substitute Decisions Act, the law that deals with Powers of Attorney. Do you have legal questions about your own will or power of attorney...or consider making one? If you are under age 18 and live in Ontario, please call JFCY at 416.920.1866 (or toll-free: 1.866.999.5329) to speak to a lawyer about your specific situation. This post was written by PLE Team volunteer Christine Doucet. Christine recently graduated from Osgoode Hall Law School. Post was reviewed by JFCY.